Currently there are nearly 8 billion people occupying the globe, and 4 billion are internet users - including both households and businesses. This means, 4 billion people want affordable internet connectivity that’s reliable and fast to conduct business, shop online, and stream movies and music, among other things. In addition to the ever-rising number of internet users, the number of hours people spend per day on the internet is increasing, as well. 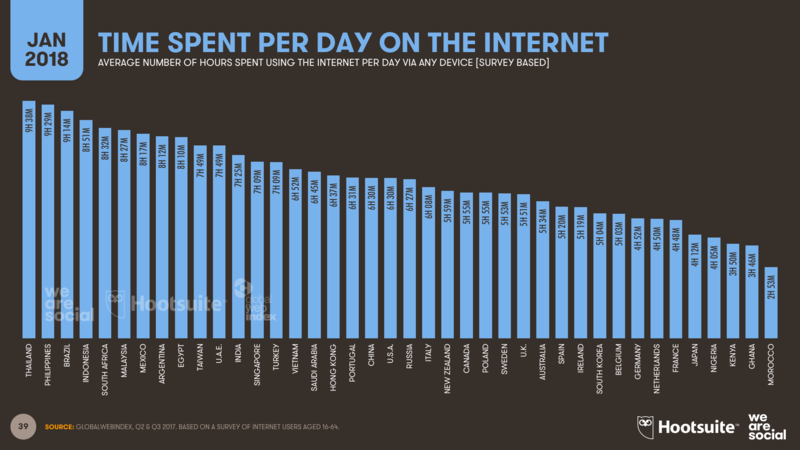 In the U.S. alone, we spend 6 hours and 30 minutes using internet-powered devices and services. While much of this time comes from the use of internet for personal leisure, business internet usage is equally as demanding. Internet related businesses have dominated wealth creation in the 21st century and the worth of the Digital Economy is estimated at $3 Trillion. Internet related tasks have become the lifeblood of modern business. Keep in mind though, before any type of internet-related tasks can be completed, you must determine the type of internet connection you need. While there are a handful to choose from, our focus will be on DSL vs cable connections as many small businesses grapple with the difference. DSL vs cable internet - although both are internet signals faster than dial-up, and often referred to as ‘high-speed internet’ or broadband, they are very different. One of the oldest internet technologies and the predecessor to dial-up, DSL (digital subscriber line) exclusively uses your local phone line to transfer data and connect you to the internet. There are two primary types of DSL connections - symmetric and asymmetric. Symmetric offers equal upload and download speeds, while asymmetric offers higher download speeds and lower upload speeds. DSL, unlike cable, provides a continuous, dedicated connection to your business, meaning the connection is not being shared among any potential neighbors. Further, DSL is an ‘always on’ internet connection. Because it operates on different frequencies for phone and internet, it’s possible to be on the phone and browsing the internet at the same time, without interruptions. Cable internet vs DSL varies greatly, as it operates through the existing coaxial cables used to deliver cable to your office, instead of telephone lines. Just as with DSL, your internet provider will supply you with the necessary equipment, such as a cable modem vs DSL modem. The modem connects to a coaxial cable inside your business location, allowing for the signal to be converted into data that can be sent and received by your devices. Moreover, cable internet runs on a shared network, which can cause low performance and lag time during peak internet traffic times; this is one major difference between DSL and cable. DSL and cable are generally available to most businesses in the form of monthly subscriptions and/or bundles, especially those in more urban and suburban areas. On the other hand, those who work in very rural or remote areas may have limited access or no options available. While DSL is much faster than dial-up, the difference in speeds can vary greatly depending on availability at your location. As mentioned above, DSL operates on a dedicated phone line, offering quality performance and connection. Commonly, DSL download speeds extend from 1 to 400 Mbps; upload speeds range from 384 Kbps to 8 Mbps. Cable internet, although fast and reliable, operates on a shared network, vulnerable to less than desired performance during peak usage times. Cable download speeds start around 25 Mbps up to 1 Gbps; upload speeds can stretch from 5 to 50 Mbps. When it comes to cable vs DSL cost difference, there is not a huge amount of variability. Providers of both offer affordable plans for the budget-conscious and for those who want all the bells and whistles for their internet related business. Pricing for broadband is dependent on a few factors: your needs/wants, the provider, the package/subscription chosen, your location, and the terms of the agreement. You also want to consider upgrades and add-ons when comparing prices. DSL packages can vary from $20 up to $300 per month, whereas cable users may see prices starting at $50 up to $800+ per month. Regardless, DSL vs cable, there is no single broadband winner. One is not better than the other, as they both serve a purpose. If you need fast speeds, lean towards cable internet; if you’re on a budget, consider DSL. While DSL and cable might be satisfactory for smaller or cost-conscience businesses, larger businesses need to be mindful of the technology’s shortcomings. Download our helpful whitepaper, designed to explain understand cable even more, and speak to other broadband products that might be more suitable. Try our Service Availability checker to find out which Internet technologies are available at your location. If you’re still in need help determining which broadband connectivity option is best for you and your specific situation, contact MegaPath for a free consultation.